'Your Survival Network for The Brave New World Of Business'™​: Download our Papers and Presentations Leading Global Practices for over 25-Years. We Create the Digital Future™. Leading the World in Risk & Uncertainty Management™. Worldwide top leadership programs such as the Harvard MBA, world leaders such as Microsoft founder Bill Gates, Big-4 CxOs, and, CIOs of the US Army, US Navy, and US Air Force, and, the U.S. Joint Chiefs of Staff of the Department of Defense including U.S. National Heads of C4 Systems and National Defense University have adopted, applied, and recommended our digital ventures transforming global digital practices. Pioneering Digital, Quant, Computational, Cyber, Crypto & Quantum Risk & Uncertainty Management. Recent: AI-Machine Learning-Deep Learning: SSRN: 63 Top 10 Rankings: Top 2% Authors. Recent: 2018 Princeton Fintech & Quant Conference: AI-ML-DL-GANs, Princeton University. Recent: 2018 MIT AI-Machine Learning Executive Guide including RPA & Cognitive Automation. Recent: 2018 Jrnl. of Operational Risk, 2017 NAIC Expert Paper, 2017 Jrnl. of Computer Sciences. 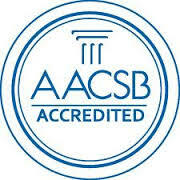 AACSB: Real World Impact of Research among Finance & IT Nobel Laureates such as Black-Scholes. 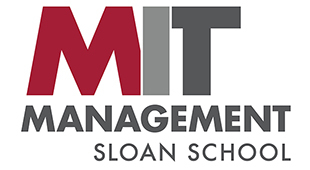 MIT Sloan School of Management-MIT CSAIL: AI & Machine Learning, Industry Expert, Executive Ed. Princeton Quant Trading Presentations: Model Risk Arbitrage & Open Systems Finance Innovations. Wall Street Investment Banks & Hedge Funds with $1 Trillion AUM: Quant Risk Analytics Leader. National Association of Insurance Commissioners Quant Models Expert: VaR Model Risk Management. New York State Computer Scientist & Cybersecurity Practices Leader: Quant Cyber Finance Practices. Big-3 Finance & Big-3 IT, Global Financial Systems Leader, Worldwide Banking & Financial Systems. Beyond Deep Learning and Generative Adversarial Networks, 2018 Princeton Fintech & Quant Conference Conference, Princeton University, April 2018. Malhotra, Yogesh. 2018 MIT AI-Machine Learning Executive Guide including RPA & Cognitive Automation, MIT Sloan School of Management-MIT Computer Science & Artificial Intelligence Lab: Management & Leadership: AI & Business Strategy: Executive Education Program, March 2018. Malhotra, Yogesh. Bridging Networks, Systems and Controls Frameworks for Cybersecurity Curriculums and Standards Development, Journal of Operational Risk, March 2018. Malhotra, Yogesh. Advancing Cyber Risk Insurance Underwriting Model Risk Management beyond VaR To Pre-Empt and Prevent the Forthcoming Global Cyber Insurance Crisis, National Association of Insurance Commissioners Expert Paper, 2017. Malhotra, Yogesh. Toward 'Cyber-Finance' Cyber Risk Management Frameworks of Practice: Bridging Networks, Systems, and, Controls Frameworks, Journal of Operational Risk, March 2018 (Forthcoming). Malhotra, Yogesh. Quantitative Modeling of Trust and Trust Management Protocols in Next-Generation Social Networks-Based Wireless Mobile Ad Hoc Networks, IUP Journal of Computer Sciences, Vol. XI, No. 2, April 2017. - Conference Sponsors: New York State Governor, New York State Office of Information Technology. Malhotra, Yogesh. Advancing Beyond Predictive to Anticipatory Risk Analytics: CyberFinance: Why Cybersecurity Risk Analytics Must Evolve to Survive 90% of Emerging Cyber Financial Threats, and, What You Can Do About It?, New York State Cyber Security Conference, 2016, Empire State Plaza, Albany, NY (June 08, 2016). - Conference Sponsors: Princeton University, Goldman Sachs, Citadel. Malhotra, Yogesh. Beyond Model Risk Management to Model Risk Arbitrage for FinTech Era How to Navigate 'Uncertainty'... When 'Models' Are 'Wrong'... and 'Knowledge'... 'Imperfect'! 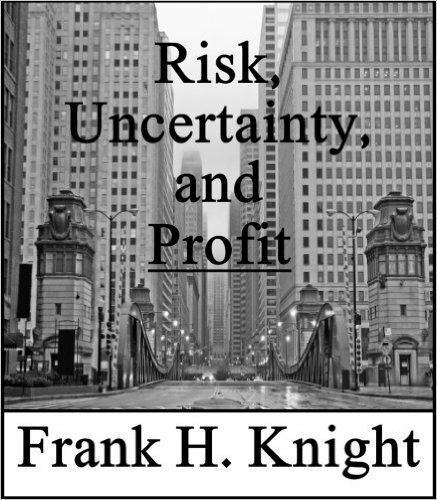 Knight Reconsidered Again: Risk, Uncertainty, & Profit beyond ZIRP & NIRP, Princeton Quant Trading Conference 2016, Princeton University (April 16, 2016). - Conference Sponsors: Princeton University Bendheim Center & ORFE, Citadel, KCG. Quantitative Finance, Model Risk Management, & Cybersecurity Risk Insurance (January 19, 2015); Advisors: Distinguished Computer Scientists & Cybersecurity Experts: US Air Force Research Lab, New York State Cyber Research Institute, and, New York State; Mentors: Top Leadership Quant Risk Analytics & U.S. Hedge Fund and Fund of Hedge Funds Portfolio Managers from Wall Street Investment Banks with $1 Trillion AUM. Malhotra, Yogesh. Stress Testing for Cyber Risks: Cyber Risk Insurance Modeling beyond Value-at-Risk (VaR): Risk, Uncertainty, and, Profit for the Cyber Era, Post-Doctoral Research Thesis on Advanced Data Science Analytics Models & Methodologies in Quantitative Finance, Model Risk Management, and Cybersecurity Risk Insurance (Last Revised: 25 Jan 2017). 189 Pages, 145 References, 208 Footnotes. Keywords: Model Risk Management, Risk Management, Risk Modeling, Quantitative Finance, Cyber Finance, Virtual Finance, Cyber Insurance Models, Cyber Risk Insurance, Uncertainty Modeling, Uncertainty Management, Knightian Uncertainty, Bayesian Inference, Markov Chain Monte Carlo Models, Quantum Computing, Value at Risk, VaR, T-VaR, Conditional Tail Expectation, ARCH, GARCH, Conditional VaR, Cornish-Fisher Approximation, Cyber-Finance-Trust™ Framework, Expected Shortfall, Expected Tail Loss, Extreme Value Theory, FAST, FIX, Flash Boys, Gibbs Sampling, Metropolis-Hastings Algorithm, HFT, High Frequency Trading, Crypto Currencies, Bitcoin, Model Risks, Power Laws, Quantitative Analytics, Cryptography, Network Protocols, Cryptology, Encryption Algorithms, Cryptanalysis Algorithms. Malhotra, Yogesh. Bridging Networks, Systems and Controls Frameworks for Cybersecurity Curricula & Standards Development, (Full Research Paper Accepted for Conference Presentation), 2015 New York State Cyber Security & Engineering Technology Association Conference, Rochester Institute of Technology, Rosica Hall, NTID, Rochester, New York, Oct. 22, 2015. Malhotra, Yogesh.Cybersecurity & Cyber-Finance Risk Management: Strategies, Tactics, Operations, &, Intelligence: Enterprise Risk Management to Model Risk Management: Understanding Vulnerabilities, Threats, & Risk Mitigation, Invited Plenary Keynote to Fortune 100 Chief Risk Officers & Chief Security Officers, Altria World HQ, Richmond, VA, September 2015. Malhotra, Yogesh. Beyond 'Bayesian vs. VaR' Dilemma to Empirical Model Risk Management: How to Manage Risk (After Risk Management Has Failed) for Hedge Funds, (Advanced Practice beyond MIT Sloan Management Review Post-Crisis 'MRM Dilemma'), JP Morgan Private Bank Practice Paper, December 2014. Malhotra, Yogesh. Markov Chain Monte Carlo Models, Gibbs Sampling, & Metropolis Algorithm for High-Dimensionality Complex Stochastic Problems, (Bayesian Inference and Machine Learning Algorithms for Model Risk Management), Grifiss Cyberspace™ Cybersecurity Finance Practice Paper, May 2014. Malhotra, Yogesh. A Risk Management Framework for Penetration Testing of Global Banking & Finance Networks VoIP Protocols, (Stress Testing Frameworks for Emerging Quantitative Finance Cyber Risk Concerns. ), Grifiss Cyberspace™ Cyber Finance Practice Paper, May 2014. Malhotra, Yogesh. Future of Bitcoin & Statistical Probabilistic Quantitative Methods: Global Financial Regulation, (Interview: Hong Kong Institute of CPAs), Grifiss Cyberspace™ Cyber Finance Practice Interview, January 20, 2014. Malhotra, Yogesh. Bitcoin Protocol: Model of 'Cryptographic Proof' Based Global Crypto-Currency & Electronic Payments System, (First Technical Report on the Topic of Bitcoin Blockchain 'Cryptographic Proof': Preceded Goldman Sachs' Report on the topic. ), Grifiss Cyberspace™ Cyber Finance Practice Paper, December 04, 2013. Malhotra, Yogesh. Advancing Cognitive Analytics Using Quantum Computing for Next Generation Encryption, (First Technical Report on the Topic of Next Generation Encryption & Decryption applying Quantum Mechanics Principles of Superposition and Entanglement in Cognitive Analytics. ), Grifiss Cyberspace™ Cyber Finance Practice Paper, December 04, 2013. Malhotra, Yogesh. Number Field Sieve Cryptanalysis Algorithms for Most Efficient Prime Factorization on Composites, (Preceded Google's Public Announcement of Switch from 1024- to 2048-bit RSA. First Technical Report on the Topic of Next Generation Encryption & Decryption advancing beyond Shannon's Maxim and Kerckhoffs's Principle. ), Grifiss Cyberspace™ Cyber Finance Practice Paper, May 2013. Malhotra, Yogesh. A Framework for Liquidity Assessment in Portfolio Construction & Optimization at JPMorgan Private Bank, (JP Morgan Project Presentation to the JP Morgan Global Head of Quantitative Research & Analytics and US Head of Portfolio Construction and Team of Senior Quants, Managing Directors, Portfolio Managers), JP Morgan World Headquarters, 270 Park Avenue, New York, NY. June 22, 2012. Malhotra, Yogesh. Measuring & Managing Financial Risks with Improved Alternatives Beyond Value-at-Risk (VaR), (Preceded Risk Magazine Report about Basel Moving Beyond VaR. Preceded PRMIA Curriculum Coverage of Advanced VaR Techniques by more than 2 years. ), Global Risk Management Network, LLC Quant Finance Practice Presentation, January 2012. Cryptology beyond Shannon�s Information Theory: Technical Focuson Number Field Sieve Cryptanalysis Algorithms for Prime Factorization. Sponsors: Princeton University, Princeton Bendheim Center & ORFE, Goldman Sachs, Citadel, SIG, KCG. Quantitative Finance and Advanced Analytics. Keywords: Quantitative Analytics, Quantitative Finance, Model Risk Management, Risk Modeling, Model Risks, Cyber Insurance Models, Cyber-Finance-Trust™ Framework, VaR, Value at Risk, Expected Shortfall, Expected Tail Loss, Conditional VaR, Cornish-Fisher Approximation, Extreme Value Theory, Bayesian Inference, Markov Chain Monte Carlo Models, Gibbs Sampling, Metropolis-Hastings Algorithm, Power Laws, Knightian Uncertainty. 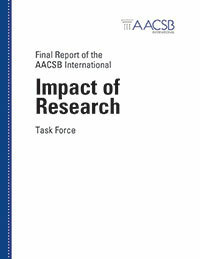 AACSB & Scientific Studies Research Impact among Finance & IT Nobel Laureates. Twenty essays present current research on knowledge management as related to effective design of new organization forms. The first section of the book covers frameworks, models, analyses, case studies and research on the integration of knowledge management within virtual organizations, virtual teams and virtual communities of practice. Themes covered in this section include business model innovation; design of virtual organization forms; net-based models; techniques for enabling knowledge capture, sharing and transfer; and collaboration and competition at intra- and inter-organizational levels. The focus of the second half is on key success factors that are important for realizing virtual models of business transformation. Topics include the role of organizational control systems, the role of internal and external employees and customers in creation of organizational knowledge, and information quality issues. We are living in interesting times characterized by increasing digitalization of business enterprises in a global interconnected knowledge economy. With waning euphoria about the first wave of digital e-business enterprises and a sobering dot-com stock market, business model innovation is being recognized as the key enabler that can unleash value creation for new digital enterprises. Knowledge Management for Business Model Innovation is anticipated to be the mantra for survival, competence and success of pure play Net enterprises, as well as relatively traditional brick-and-mortar enterprises faced with the challenge of transforming their business models into-- and beyond -- click-and-mortar companies. "Knowledge Management and Business Model Innovation is an important addition to the IS researcher's bookshelf. It brings together the latest thinking on issues at the forefront of teaching innovation and professional imagination." Malhotra, Y., Role of Social Influence, Self-Determination and Quality Of Use In Information Technology Acceptance And Utilization: A Theoretical Framework And Empirical Field Study, PhD Thesis. University of Pittsburgh, Doctor of Philosophy Program, Joseph M. Katz Graduate School of Business, Pittsburgh: PA, July 1998, 181 pages, 120 Tables of Quantitative Analysis. Malhotra, Y. and Galletta, D.F., Role of Commitment and Motivation in Knowledge Management Systems Implementation: Theory, Conceptualization, and Measurement of Antecedents of Success, Proceedings of the Hawaii International Conference on Systems Science, January 2003, January 6-9, 2003, IEEE, Hawaii. 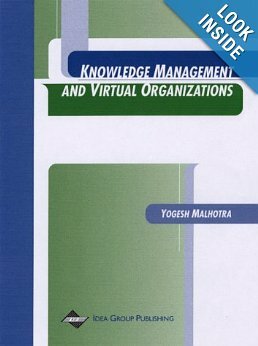 Malhotra, Y., Role of Organizational Controls in Knowledge Management: From Constraints to Enablers. Proceedings of the Information Resource Management Association International Conference, Knowledge Management Track, Anchorage, Alaska, May 20-24, 2000. Malhotra, Y., and, Galletta, D.F., Extending the Technology Acceptance Model to Account for Social Influence: Theoretical Bases and Empirical Validation. Proceedings of the Hawaii International Conference on System Sciences (HICSS 32), 6-19, January, 1999, IEEE, Hawaii. Malhotra, Y., Knowledge Management in Inquiring Organizations. Proceedings of the 3rd Americas Conference on Information Systems, Indianapolis, IN, August, 1997. Related Working Papers: Role of Information Technology in Managing Organizational Change and Organizational Interdependence (1993). Organizational Learning and Learning Organizations: An Overview (1996). Malhotra, Y., Theoretical & Empirical Redefinition of Information Systems Acceptance & Information Systems Usage. Proceedings of the Academy of Management Meeting, Technology and Innovation Management / Organizational Communication and Information Systems Doctoral Consortium, Boston, MA, August, 1997. Malhotra, Y., and, Kirsch, L.J., Personal Construct Analysis of Self-Control in IS Adoption: Empirical Evidence from Comparative Case Studies of IS Users & IS Champions. Proceedings of the First INFORMS Conference on Information Systems and Technology, 105-114, Washington, DC, May, 1996. Control Systems PhD Thesis Paper. (Top-ranked article by the journal.). King, W.R., and Malhotra, Y., Developing an Andragogy Model for IS/IT Education, Journal of Informatics Education and Research, 3(1), Spring 2001, 1-14. Malhotra, Y., Bringing the Adopter Back Into the Adoption Process: A Personal Construction Framework of Information Technology Adoption. Journal of High Technology Management Research, 10(1), 1999, 79-104. Malhotra, Y., High-Tech Hidebound Cultures Disable Knowledge Management. Knowledge Management, Knowledge Management, 2(5), February, 1999, 7-11. Malhotra, Y., Controlling Copyright Infringements of Intellectual Property. Journal of Systems Management, July, 1994, 45-51. Malhotra, Y., Controlling Copyright Infringements of Intellectual Property: The Case of Computer Software. Journal of Systems Management, June, 1994, 45-50. Malhotra, Y., and Erickson, R.E., Interactive Educational Multimedia: Coping with the Need for Increasing Data Storage. Educational Technology, April, 1994, 34-37. Barton, L., and Malhotra, Y., International Infringement of Software as Intellectual Property, Industrial Management & Data Systems, 1993, 93-100. Malhotra, Y., Board of Advisors Perspective: On Knowledge Management and Actionable Intelligence. Invited Interview as Board of Advisors member, Inside Knowledge (UK), 2009. Malhotra, Y., Competitive Strategy for Highly Risky and Uncertain Business Environments. 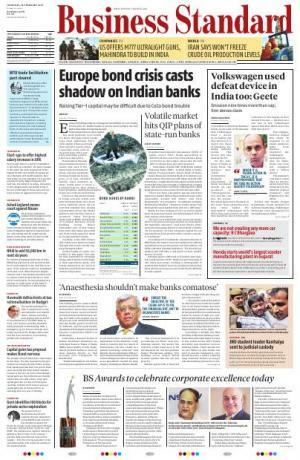 Business Standard (India), January 2, 2007. (Business Standard (India) interviews with world-leading business scholars-practitioner management thinkers in Business Strategy.). Malhotra, Y., Expertise Location Management Systems: KMS by Another Name?. 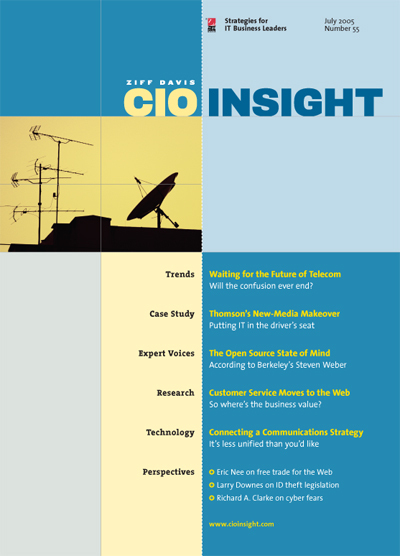 CIO Insight, July 2004. Malhotra, Y., Measuring National Knowledge Assets of a Nation: Knowledge Systems for Development. Expanding Public Space for the Development of the Knowledge Society. Report of the Ad Hoc Expert Group Meeting on Knowledge Systems for Development. United Nations Department of Economic and Social Affairs Division for Public Administration and Development Management, United Nations, New York, 2003, 68-126. Malhotra, Y., Why Knowledge Management Systems Fail? Enablers and Constraints of Knowledge Management in Human Enterprises. In Holsapple, C.W. (Ed. ), Handbook on Knowledge Management 1: Knowledge Matters, Springer-Verlag, Heidelberg, Germany, 577-599, 2002. Malhotra, Y., Why Knowledge Management Systems Fail? Enablers and Constraints of Knowledge Management in Human Enterprises. In Michael E.D. Koenig & T. Kanti Srikantaiah (Eds. ), Knowledge Management Lessons Learned: What Works and What Doesn't, Information Today Inc. (American Society for Information Science and Technology Monograph), 87-112, 2004. Malhotra, Y., Why Knowledge Management Systems Fail? Enablers and Constraints of Knowledge Management in Human Enterprises. In Holsapple, C.W. (Ed. ), Handbook on Knowledge Management 1: Knowledge Matters, Springer-Verlag, Heidelberg, Germany, 577-599, 2004. Malhotra, Y., Is Knowledge the Ultimate Competitive Advantage?. Business Management Europe , September, 2003, Q3/4, pp. 66-68. Malhotra, Y., Is Knowledge the Ultimate Competitive Advantage?. Business Management Asia, September, 2003, Q3/4, pp. 67-69. Malhotra, Y., The Knowledge Application Gap in Information Systems Research & Education and their Quest for the Dependent Variable. Information Resources Management Journal, Volume 16, Issue 2, April-June 2003, pp. i-vii. (Invited Editorial by Information Resources Management Journal). (Cover Story Focus on Interview with Inside Supply Management, global membership publication of the Institute for Supply Management). Malhotra, Y., Enabling Next Generation e-Business Architectures: Balancing Integration and Flexibility for Managing Business Transformation. Intel Corporation, Portland, Oregon. Summer 2001. (Expert Paper invited by the Intel Corporation). Malhotra, Y., Intellectual Capitalism: Does KM=IT? Three Myths That Can Derail Your IT & KM Investments. CIO Enterprise, Sep. 15, 1999. Malhotra, Y., Deciphering the Knowledge Management Hype. Journal for Quality & Participation, July-August, 1998. Malhotra, Y., Knowledge Management, Knowledge Organizations & Knowledge Workers: A View from the Front Lines. Maeil Business Newspaper, South Korea, February 19, 1998. Malhotra, Y., Current Business Concerns and Knowledge Management. Times of India, 1997. Malhotra, Y., Is Knowledge Management Really an Oxymoron? Unraveling the Role of Organizational Controls in Knowledge Management, In D. White (Ed. ), Knowledge Mapping and Management, Hershey, PA: Idea Group Publishing, 1-13, 2002. Malhotra, Y., Role of Organizational Controls in Knowledge Management: Is Knowledge Management Really An 'Oxymoron'. In Y. Malhotra (Ed. ), Knowledge Management and Virtual Organizations. Hershey, PA: Idea Group Publishing, 245-257, 2000. Malhotra, Y., Desperately Seeking Self-Determination: Key to the New Enterprise Logic of Customer Relationships, Process Automation Track, Customer Relationship Management Mini-track. Proceedings of the Americas Conference on Information Systems, AMCIS 2004, New York, New York. Malhotra, Y., and Erickson, R.E., MPC: An Evolving Standard in Multimedia Education. Educational Multimedia and Hypermedia Annual, Proceedings of ED-MEDIA 93: Educational Multimedia and Hypermedia, AACE, Charlottesville, VA, 324-331, August, 1993. Malhotra, Y., Knowledge Management for E-Business Performance: Advancing Information Strategy to “Internet Time”. ICFAI Journal of Systems Management (India), August, 2003. Malhotra, Y., Knowledge Assets in the Global Economy: Assessment of National Intellectual Capital. In F. Tan (Ed. ), Advanced Topics in Global Information Management. Hershey, PA: Idea Group Publishing, 2002, pp. 329-345. Malhotra, Y., Knowledge Assets in the Global Economy: Assessment of National Intellectual Capital. In V. Sugumaran (Ed. ), Intelligent Support Systems Technology. Hershey, PA: Idea Group Publishing, 2002, pp. 22-42. 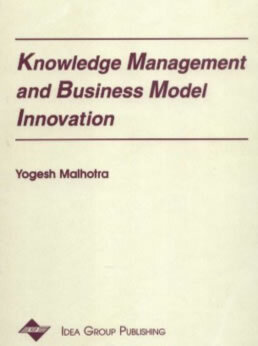 Malhotra, Y., Knowledge Management and New Organization Forms: A Framework for Business Model Innovation. In M. Khosrowpour (Ed. ), Advanced Topics in Information Resources Management, (Advanced Topics in Information Resources Management Series, Vol. 1), Hershey, PA: Idea Group Publishing, 1-18, 2002. Malhotra, Y., Business Process Redesign: An Overview. ICFAI Journal of Operations Management (India), November, 2002. Malhotra, Y., Knowledge Assets in the Global Economy: Assessment of National Intellectual Capital. In Y. Malhotra (Ed. ), Knowledge Management and Business Model Innovation. Hershey, PA: Idea Group Publishing, 2001, p. 232-249. Malhotra, Y., Knowledge Management for E-Business Performance: Advancing Information Strategy to 'Internet Time'. In Y. Malhotra (Ed. ), Knowledge Management and Business Model Innovation. Hershey, PA: Idea Group Publishing, 2-15, 2001. Malhotra, Y., Knowledge Management and New Organization Forms: A Framework for Business Model Innovation. In Y. Malhotra (Ed. ), Knowledge Management and Virtual Organizations. Hershey, PA: Idea Group Publishing, 2-19, 2000. To see a more complete list, please click here. A small sample is listed below. Conference Sponsors: Princeton University Bendheim Center & ORFE, Citadel, KCG. Keynote to Armed Forces Communications Electronics Association, 2005. Metrics Guide for Knowledge Management Initiatives, 2001. Reviewed his expert paper as "critical and definitive examination of KM measurement." Harvard University thesis as Air Force National Defense Fellow, 1997-98. 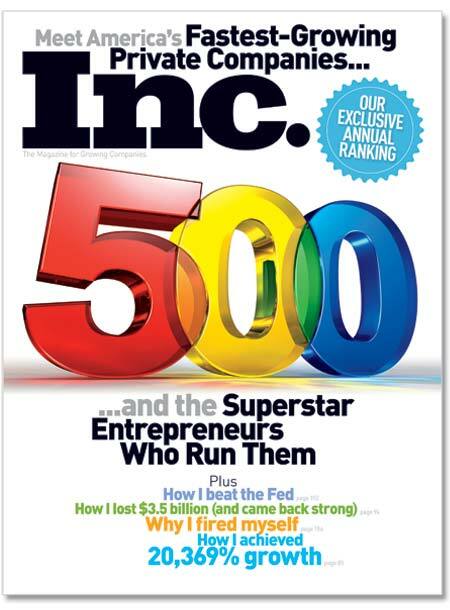 Wall Street Journal, CIO Magazine, CIO Insight, etc. 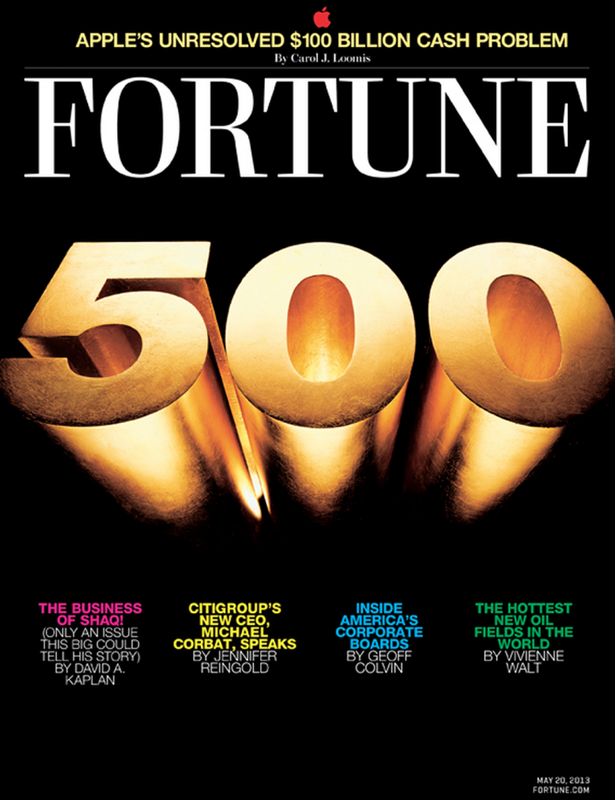 New York Times, Fortune, Forbes, Business Week, Computerworld, Information Week , etc. - Applied by global organizations such as NASA and World's Top Banks. - Stanford University, University of California Berkeley, Wharton, etc. Marquis Who's Who in Finance & Industry®, since 2001; Marquis Who's Who in Science & Engineering®, since 2006. PhD Doctoral Research Fellowship and Full Scholarship, University of Pittsburgh, 1993-1998. Princeton University, Princeton Quant Trading Conference, “Beyond Model Risk Management to Model Risk Arbitrage for FinTech Era: How to Navigate ‘Uncertainty’...When ‘Models’ Are ‘Wrong’...And Knowledge’...‘Imperfect’! Knight Reconsidered Again: Risk, Uncertainty, & Profit Beyond ZIRP & NIRP,” Invited Research Presentation, Princeton, New Jersey, April 16, 2016. Invited by the organizing committee of the Princeton Quant Trading Conference to share recent technical research on Offensive Cybersecurity-Financial Risk Management, Quant Algorithmic Trading, and Quantitative Finance. Conference sponsors included Princeton University, Goldman Sachs, SIG. Princeton University, Princeton Quant Trading Conference, “ Future of Finance Beyond 'Flash Boys': Risk Modeling for Managing Uncertainty in an Increasingly Non-Deterministic Cyber World,” Invited Research Presentation, Technical Quantitative Finance & Econometrics Track, Princeton, New Jersey, April 4, 2015. Invited by the organizing committee of the Princeton Quant Trading Conference to share recent technical research on Defensive Cybersecurity-Financial Risk Management, Quant Algorithmic Trading, and Quantitative Finance. Conference sponsors included Princeton University, Citadel, KCG Holdings. New York State Cyber Security Conference, Empire State Plaza, Albany, NY, “Advancing Beyond Predictive to Anticipatory Risk Analytics: CyberFinance: Why Cybersecurity Risk Analytics Must Evolve to Survive 90% of Emerging Cyber Financial Threats, and, What You Can Do About It?,” Invited Research Presentation, Finance Sector Track, Research Presentation at the 19th New York State Cyber Security Conference Presentation, Albany, NY, June 8-9, 2016, Empire State Plaza, Albany, NY. Conference sponsored by the New York State Governor and New York State Office of Information Technology. United Nations, “Measuring National Knowledge Assets: Conceptual Framework and Analytical Review,” Invited Keynote Presentation, United Nations Department of Economic and Social Affairs Division for Public Administration and Development Management, New York City, New York, September 4, 2003. Invited by the UN to participate as the leading global expert on Asset Pricing and Measurement of National Knowledge Assets and one of four global experts on Knowledge Economics. Conference Board, “Managing Knowledge for e-Business Performance”, Leading New Economy Workplaces Conference, New York City, New York, May 16-17, 2001. Served as Advisory Board Member among John Seely Brown, Chief Scientist, Xerox; Pehong Chen, President, BroadVision; Tom Davenport, Director, Institute for Strategic Change, Accenture; Clement Mok, Chief Creative Officer, Sapient; and, Thornton May, Corporate Futurist, Guardent. Vision Korea Campaign, “Knowledge Management for the New Digital Economy,” Invited Opening Plenary Keynote Presentation, 4th Knowledge Management Academic Symposium, Korea Knowledge Management Society, Seoul, South Korea, May 13, 2000. Invited to deliver the plenary keynote to South Korea’s 400 national leaders and CxOs from the top corporations and university research academia leading the development of South Korea as a Knowledge Economy. Other Keynote Speakers in this National South Korean Keynote series included CxOs such as Charles Lucier, Chief Knowledge Officer of the strategy consulting firm Booz Allen Hamilton. KMWorld, “Knowledge Management for High Performance e-Enterprises: Business Strategy and Technology for 'Internet Time'”, KMWorld 2000, Santa Clara (Silicon Valley), CA, Sep. 12-Sep. 15, 2000. Invited to address Silicon Valley venture capitalists and CxOs as the founder and developer of digital ventures renowned for global thought leadership of worldwide CxOs on digital innovation of hi-tech business models and national economies. Government of Mexico, “Knowledge Management and Transformation of the Government: Opportunities and Challenges,” Invited Opening Plenary Keynote, Tecnologías de la información para el desarrollo de la Administración Pública, World Trade Center, Mexico City, Mexico, September 28, 1999. Invited to deliver the opening plenary keynote to the leading Cabinet Ministers of the Parliament of Mexico, 13 National Chief Information Officers, and 600 top IT Executives in the Government of Mexico. The other plenary keynote was given by the global head of G8 Electronic Governments reporting to UK Prime Minister Tony Blair. The Indus Entrepreneurs (TiE Global, Silicon Valley), “Growing Business Enterprises on the Net: The Way of the Wild Wild Web,” Invited Opening Plenary Keynote, Cerritos, CA, April 21, 1999. Invited to deliver the plenary keynote to Silicon Valley venture capitalists, CxOs and IT entrepreneurs at the annual event organized by the leading Silicon Valley venture capitalists and angel investors organization, Silicon Valley based TiE Global, and hosted by Mr. Safi Qureshey, the co-founder and former CEO of AST Research, Inc., a personal computer manufacturer acquired by Samsung Electronics in 1997. Invited to speak by TiE Global founder and board member Mr. Navneet Chugh to apparently substitute for Guy Kawasaki, the Silicon Valley venture capitalist and chief evangelist of Apple Computer, who had reported 'plane engine trouble.' The other plenary keynote was by the founder of Silicon Graphics. Conference Board, “Beyond TQM & BPR: Leveraging Knowledge and Information Technology for Business Performance,” Invited Opening Plenary Keynote, Conference Board U.S. Quality Council, Executive Council of Global Center for Performance Excellence, Fort Lauderdale, FL, February 24, 1999. Invited to address CxOs of US corporations recognized as the winners of the Malcolm Baldrige National Quality Award. Annual Knowledge Management World Summit, “Toward Knowledge Management that Makes Sense: Making Business Sense of Information &Technology,” Invited Keynote Presentation, BrainTrust '99, San Francisco, CA, January 11-13, 1999. Other keynote presenters such as Kenneth T. Derr, Chairman and CEO of Chevron Corporation. National Science Foundation, National Expert Panel of Computer Scientists, Web Computing, Cyber Computing &Cyber Security, Small Business Innovation Research (SBIR) and Small Business Technology Transfer (STTR) Phase II ($500K per proposal), Arlington, Virginia, March 3 - March 16, 2005. National Science Foundation, National Expert Panel of Computer Scientists, Web Computing, Cyber Computing, Cyber Security, Small Business Innovation Research (SBIR) and Small Business Technology Transfer (STTR) Phase II ($500K per proposal), Arlington, Virginia, Arlington, Virginia, April 5 - May 4, 2004. National Science Foundation, National Expert Panel of Computer Scientists, Web Computing, Cyber Computing & Cyber Security, Small Business Innovation Research (SBIR) and Small Business Technology Transfer (STTR) Phase II ($500K per proposal), Arlington, Virginia, 2003. National Science Foundation, National Expert Panel of Computer Scientists, Web Computing, Cyber Computing & Cyber Security, Small Business Innovation Research (SBIR) and Small Business Technology Transfer (STTR) Phase II ($500K per proposal), Arlington, Virginia, August 10 - September 25 and October 3 - October 22, 2002. United Nations, “Knowledge Systems for Development,” Global Expert Panel of Economists, Ad Hoc Group of Experts Meeting, United Nations Department of Economic and Social Affairs United Nations Division for Public Administration and Development Management , New York City, New York, September 4-5, 2003. Vision Korea Campaign, “Knowledge Management for the New Digital Economy,” National TV Interview, Maeil Business TV & Newspaper, Seoul, South Korea, May 2000. Vision Korea Campaign, “Diagnosis of Korean Firms' Present Situation of Knowledge Management and Tasks in the Future,” Expert Panel, Korea Knowledge Management Society, Seoul, South Korea, May 13, 2000. Government of Mexico, “Knowledge Management and Transformation of the Government,” Expert Panel, Tecnologías de la información para el desarrollo de la Administración Pública, Mexico City, Mexico, Sep.28, 1999. The panel was composed of the key national cabinet ministers from the Mexico Parliament and the 13 CIOs representing the Government of Mexico. Government of Netherlands, “Knowledge Management for Guiding the Reorganization of National Educational, Technological and Institutional Infrastructures,” Advisory Panel, Dutch Ministry of Education, Culture and Science, Government of Netherlands, June, 1998. United States Federal Government, Council Partner, Inter-Agency Benchmarking & Best Practices Council, U.S. Federal Government, 1996-1998. Indian Institute of Technology, New Delhi, India, "E-Business and Knowledge Management: Up Close and Personal Looking Forward by Looking in the Rear View Mirror." Invited Editorial on the Inauguration and Launch of Indian Institute of Technology's Global Journal of e-Business and Knowledge Management. Multimillion dollar grant awards for U.S. IT innovations in Cyber Computing & Cyber Security. Permission is explicitly granted by the listed sole or primary author to reference or use any of the research frameworks, instruments, measures, and models in any of above papers by following appropriate norms of attribution of original sources. "It is this "true" uncertainty, and not risk, as has been argued, which forms the basis of a valid theory of profit and accounts for the divergence between actual and theoretical competition... It is a world of change in which we live, and a world of uncertainty...If we are to understand the workings of the economic system we must examine the meaning and significance of uncertainty; and to this end some inquiry into the nature and function of knowledge itself is necessary." (Ithaca, NY: Global Risk Management Network, LLC), 2015. "The new business model of the Information Age, however, is marked by fundamental, not incremental, change. Businesses can't plan long-term; instead, they must shift to a more flexible "anticipation-of-surprise" model." 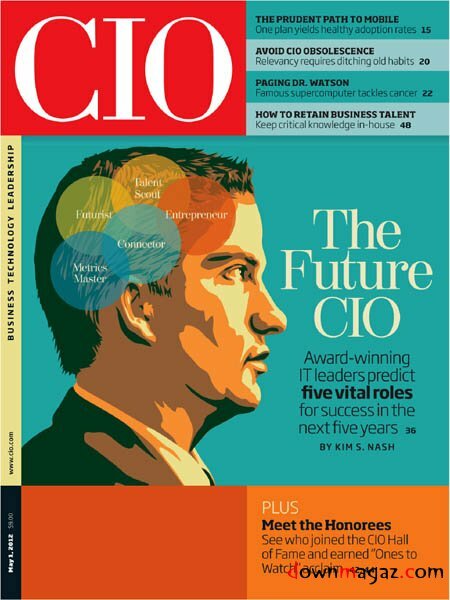 -- Yogesh Malhotra in CIO Magazine interview "Does KM=IT? ", September 15, 1999. The real world has been preparing to tackle Model Risks and Black Swans through 'anticipation of surprise' by 'effective challenge of models' for over a decade. How about you ? Source:Malhotra, Yogesh, On Rethinking Risk & Controls for Managing Knightian Uncertainty & Complexity, 2005. "The very essence of what various IT systems can do in the context of KM begins and ends with people and processes. In absence of motivation and commitment on the part of the users, such systems cannot function." -- Yogesh Malhotra in CIO Insight interview, July 1, 2004. The world of Global Finance has been moving beyond Model Risks attributed to VaR since the Global Financial Crisis. Are your risk management models up-to-date? "KM is obsoleting what you know before others obsolete it and profit by creating the challenges and opportunities others haven't even thought about." The Future of Risk is here with latest Quantitative and Computational Methodologies & Techniques! Are you up to speed with Risk Management, Risk Modeling & Controls Frameworks for the post-WWW era of unprecedented global connectivity, information intensity & velocity developed right here and adopted by worldwide firms and governments. "Yogesh Malhotra says his vision is to fill the gaps between business and technology, data and knowledge, and, theory and practice. That's an ambitious undertaking." Next Generation Computing and Statistical Probabilistic Methods are now a real world reality! It is more about 'Big Meaning' and 'Smart Decisions' rather than 'Big Data'! After the dust settles, those using 'Smart Decisions' and 'Big Meaning' are expected to outlast others who may only have the commodity called 'Big Data.' Are you prepared? "Knowledge Management caters to the critical issues of organisational adaption, survival and competence in the face of increasingly discontinuous environmental change ... Essentially, it embodies organisational process that seek synergistic combination of data and information processing capacity of information technologies and the creative and innovative capacity of human beings." Next Generation Quantum Computing Capabilities on the cusp will ‘Stress Test’ your Models, Systems, and Networks like never before. Are you aware which of them will withstand the onslaught of the qubit revolution? "A viable competitive strategy seems to be one that is based upon making your own knowledge obsolete before it is obsolesced by the competition or the environment." - Yogesh Malhotra in Business Standard (India) interview, 2007.